Posted by nicholh in Nichol. Comments Off on Resurgence. My youngest sister Rachel and I have been struggling with getting back into the workout routine for awhile now. I really need to be able to work out in the a.m. and it was not happening. Well, we have finally hit on something that works. Rachel and I have a deal, and it’s pretty genius. We now have a regular schedule, which can be flexible, and we stick to it. Tuesday, Wednesday, and Friday mornings we swim laps (we add 5 laps every day and we are now at 25). Saturday an Sunday we run or ride. We do change it up a bit. This Tuesday we slept in and ran in the evening because I was able to come home right after work (I’m doing a group project for a class, and we meet on Tuesday evenings). But we needed a consequence. And it needed to be something that we could call each other on. So it was decided that if we don’t stick to our schedule, we can’t wear makeup, FOR A WEEK. To some, this may seem insignificant. And I don’t wear the full regalia as some girls do, but I love my tinted moisturizer and mascara is a must. It’s worked, amazingly enough. There probably will not be a day when we say “I don’t care, I’m not working out.” and it feels good. I’m a lot slower then I was before and I don’t have the same distance, but I ran a fourth of a mile the other day without stopping and it felt damn good. It also felt damn good to put my Smashbox on the next morning. I was having a conversation with a coworker last week. She is dieting (I despise that word) and said that she’s always hungry, but that’s how she has to be in order to lose weight. I disagreed, but she would have none of it. Depending on what you’re eating, you might need to be hungry, but it is possible to eat well and run a caloric deficit. The additional good news is that the foods you “can” eat to stay sated are the same ones that are missing the chemicals and ingredients that also make it difficult to lose weight. Meals need to include carbs, protein, and fat. Snacks have more staying power if they have all three in good balance as well. If you consider vegetables to be your meal instead of a side dish, and consider your meat to be a side dish or an added ingredient for flavor, you can eat more without packing in the calories. Snack on veggies and occasionally fruits. Have a handful of nuts — but just a handful. 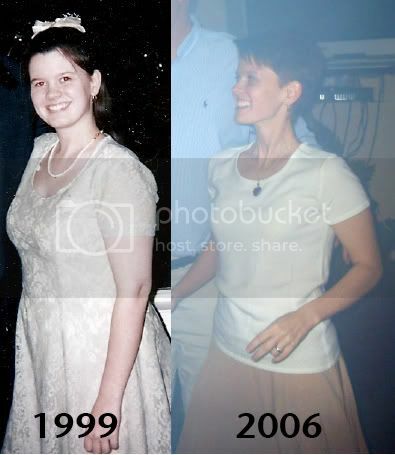 When I was losing the “last 10 pounds” (which it actually was, until my weight and eating went haywire with chemo), I ate two cups of spinach as part of dinner every night. That’s less than 20 calories and is a lot of food. Don’t want plain or nearly-plain greens? Make a green smoothie. Be creative! Try new things or old things in new combinations and permutations. What do you do to keep yourself sated without gaining weight? Or what have you tried that didn’t work? We had some phyllo dough left over (from a recipe that didn’t turn out well — you won’t be seeing it here!). What to make with phyllo dough but spanakopita! The recipe I ended up using was from allrecipes.com. It didn’t come together the way the recipe suggested (I had three layers instead of two, which might be why it cooked longer than recommended), but it turned out to be quite tasty! I used a combination of fresh and frozen-but-somewhat-thawed spinach because that’s what I had, and it worked just fine. I also used about half of the feta (I don’t like feta in large quantity) and it was good. I think using as much as was called for would have been tasty as well. In reading the comments on this and other similar recipes, there were many suggestions to take the time to really let the mixture cool before putting everything together (you’ll see that in the directions) and to make sure the spinach is well-drained. Otherwise, the phyllo gets very soggy. I did both and had no troubles with soggy phyllo. That said, it does take quite a bit longer to prepare if you let it sit out and cool, so plan for that. What is interesting to me about this dish is that in general, I don’t like a lot of cooked spinach. For example, spinach lasagna needs to be somewhat light on the spinach in order to be pleasing to my palate. (I can eat raw spinach all day.) But in this, the spinach-heaviness doesn’t bother me a bit. Not sure why. Preheat oven to 350 degrees F (175 degrees C). Lightly oil a 9×9 inch square baking pan. I’ve been a blog slacker the past week or — apologies! Fighting a cold that’s going around campus (already!) has made my head foggy. Anyway, in the last couple of weeks, The Kid has become even more active, which I didn’t realize was possible. We believe that s/he has flipped and isn’t breech any more, which is good! I had one good solid kick to the ribs, which supports this hypothesis. Most of the movement nowadays is more a sliding or rolling back and forth — a tennis ball moving from my right side to my left side and back is what it looks like! Otherwise … there isn’t too much happening, really. Birthing classes are almost over — one more on Monday and that’s all. Still drinking a lot. All systems are still in good shape. I’ve played my trombone a few times, both practicing alone and playing with a small group. My kids at school have started playing. Through most of this, The Kid is quiet and still, which is not at all what I was expecting. Will be interesting to see if that keeps up when the community band starts rehearsing again. Image isn’t everything, but it sure does help a lot. It’s true. Outward appearance does wonders on a person. And I’m not talking about when I’m doing my monthly Cosmo reading and I look at women and their outfits and decide if they are witches or not by how they look. I’m talking about looking in a mirror and saying, “Damn, I look fine,” or “Oh sweet baby Jesus. I need help.” There’s a big difference in those two thoughts. A really big difference. I had an emotional meltdown/breakthrough the other night and it all started with some new clothes and a spur of the moment closet clearing. I broke down and bought clothes that fit. I threw out all the clothes that are now to big (except a pair of jeans that were way too expensive, but are beautiful and I use mainly to wear on lazy days when I haven’t brushed my hair). It wasn’t hard to get rid of them. What was hard was the realization that I needed to get them out of my closet because they were dragging me down. Those oversized shirts and baggy pants kept me looking, and feeling, sloppy. That’s a bad place for me to be. When I (think I) look good, I feel good. Then I eat better and I work out harder. New epiphany, but in a totally bad way. Posted by nicholh in Uncategorized. Comments Off on New epiphany, but in a totally bad way. Yup. It’s hit me again. This time though, it wasn’t a good epiphany. It scared the crap out of me. Things at work have gotten really unpleasant. In the past month, four people have been laid off and three people have quit. My caseload has increased exponentially. My stress level has increased exponentially times a million. And my eating has gone to crap. I haven’t been working out. I’m miserable at work and I’m hungry all the time. Its not really a new connection, but it’s one that I hadn’t paid attention because it wasn’t an issue. Now, it is an issue. I am not handling this like a champ. And now it’s the week of my birthday and I am eating out, damn near everyday this week. I became very conscious of my eating issue so I’ve tried to be really careful about what I eat while I’m out. I refuse to go backward. I refuse to spend my money buying bigger pants. So I have to get busy. PS: happy birthday to Janna, my best friend of 20 years! Many people agree that our mindset on garbage needs to change. Many mindful people do their part by recycling: paper, cardboard, aluminum, plastics — whatever their municipality will accept. Many mindful people use reusable shopping bags instead of collecting tons of plastic bags. Some who do use plastic shopping bags repurpose them for use in small trash cans. Many mindful people use re-usable water bottles instead of buying bottled water. These are the three most common “eco-friendly” actions that I’ve seen in general daily life. These few actions include all three components of the “reduce, reuse, recycle” mindset. Unfortunately, except for economic reasons, most people practice a “recycle, reuse, reduce” lifestyle. The first R is reduce because the best thing you can do for the environment (and ultimately, for your pocketbook) is to reduce consumption, especially of one-use, disposable items. In addition to the space they take up once they’ve been discarded, they all take an enormous amount of energy and natural resources to create, from harvesting materials to creating the object to packaging the object (go back to the beginning of the cycle for all of the packaging!) to transporting the object. I pack lunch for 186 school days. I take the big bottle (40 oz.) and one of the small ones (27 oz. ), so that’s 67 oz. per day. Most bottled water comes in 16-oz. bottles, so rounding down, that’s four bottles of water per day. Four bottles times 186 days equals 744 bottles per year that I didn’t buy or throw away just from using reusable bottles. And that hasn’t even counted in all of the other times that I use them. And that’s only for one year. A 24-pack of 16-oz. store-brand water bottles is on sale at a local grocery store this week for $2.77. If I stocked up enough to use for the year, I’d spend $85.87. So in one year, I’d save the earth from the production, transportation, and disposal of more than 744 plastic water bottles, as well as saving at least $24.02. The second year, since there would be no cost for water bottles, it’s all savings. Similar exercises could be done with a myriad of products. Disposables are the most obvious choices (plates, silverware, napkins, paper towels, tissues, diapers, etc.). Other items to consider reducing the purchase of include clothing/shoes, accessories, and electronics. Also consider how your grocery items are purchased. Snack-sized or 100-calorie packs both use much more packaging and are more expensive per ounce than their more bulk-packaged counterparts. With reusable containers, it is easy to open a package of chips, cookies, etc., and divide it out into servings. The second-best way to conserve resources and money is to buy reusable items. Hard plastic, glass, and aluminum bottles and storage containers work well in the kitchen. One step further: buy foods in packages that will be reusable — most notably, jars. Buying items second-hand not only saves money but also gives another life to items otherwise headed for a landfill. While there are a few items I don’t feel comfortable buying second-hand (underwear, bathing suit, furniture with pillows/cushions for examples), I have gotten many great deals on buying items second-hand, from books to clothes to a dining room set to a defibrillator for my training center. And, just like new items, there are brick-and-mortar stores as well as online stores where you can shop. Selling or giving away instead of trashing (or recycling) is another way to help keep good objects in circulation and out of a dumpster. I have come to love Freecycle, where I have given away things I was pretty sure no one would want (and they did want!) and received things that other people were happy to get out of their house. Having a compost bin/pile enables people to reuse peels, cores, and other parts of many foods instead of tossing them in the garbage. Note: if you’re going to reuse plastic bottles, don’t reuse the ones that you buy water in. They’re not made for reuse and break down faster than those marketed for reuse. Of course, I prefer reusable bottles that aren’t plastic at all (and if you’re going with aluminum, make sure they’re not lined), but I understand that not everyone is concerned about such matters. The last of the three Rs is recycle. If you already have it and need to get rid of it but can’t sell it and can’t give it away, recycle it. There are recycling programs for all sorts of materials beyond your basic paper, plastic, aluminum. I’ve seen websites for a variety of electronics, running shoes, pens, books. I’m sure there is much more out there that I haven’t stumbled upon. Make sure that any products you’re using at home that can be recycled actually get in a recycling bin. What’s your take? Does any of this concern you, either environmentally or financially?